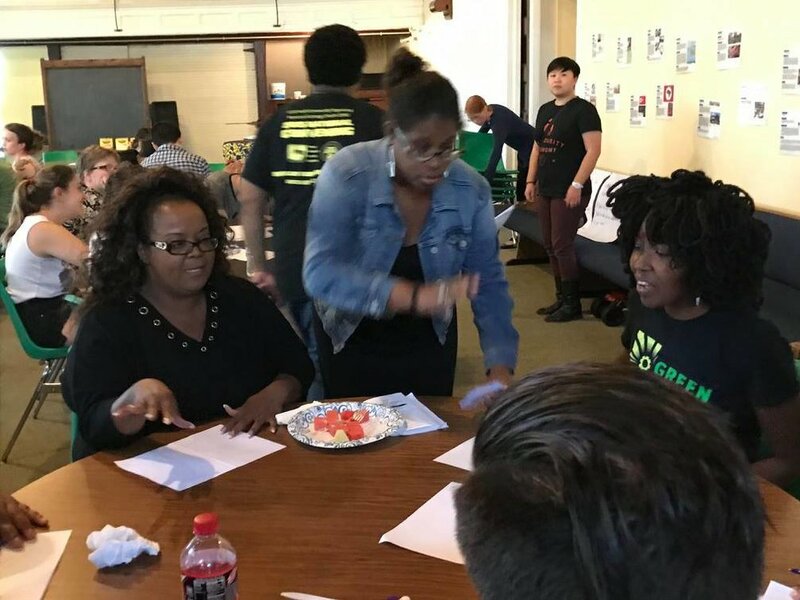 On May 7, 2017, Solidarity Economy St. Louis co-hosted a People's Assembly with the Pine Lawn Coalition and the Highlander Center to address issues of vacant land, displacement, and gentrification. Founded in 1932, The Highlander Center serves as a catalyst for grassroots organizing and movement building in Appalachia and the South. The goal of Highlander was and is to provide education and support to poor and working people fighting economic injustice, poverty, prejudice, and environmental destruction. Co-facilitators Elandra Williams and Susan Williams led us in asking ourselves questions about our experiences in St. Louis, the oldest aspects of history in the region, where displacement and gentrification occur, who holds institutional and people power, and what we need to know to get where we need to go for a thriving city. 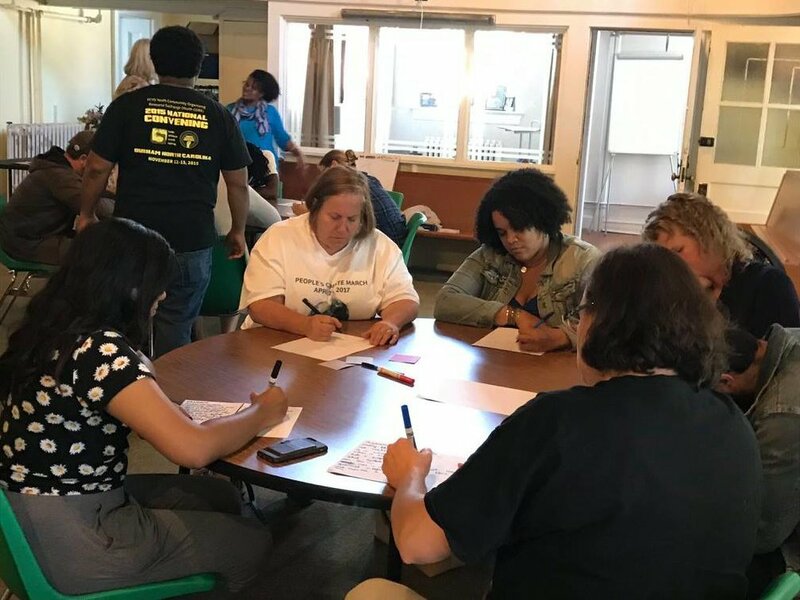 We shared stories about the illustrious native civilization in Cahokia which was wiped out by the Spanish, Mill Creek Valley and Hop Alley communities, the Ville, Superfund sites, tax-increment financing and redlining, cultural segregation, the racist creation of Kirkwood, Brentwood, Busch Stadium, downtown, and more. 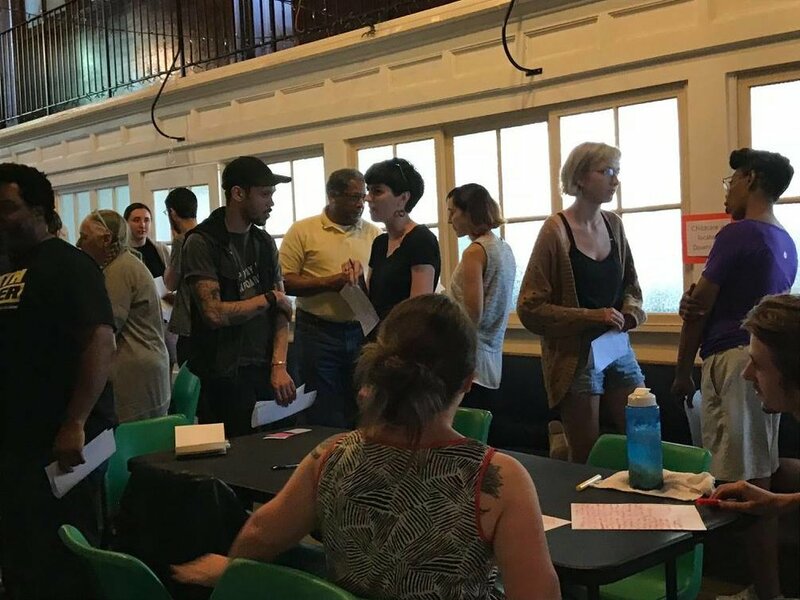 By mapping where we come from, where we live, and where we work, we started to examine how we fit in these dynamics of displacement and gentrification, and where our gaps of knowledge lie. As we filled ourselves with knowledge, Somethin' Like Jamaica filled our bellies. We closed our time together with a rousing song about... solidarity, of course!